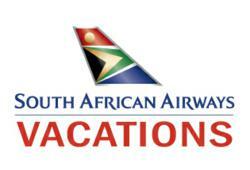 South African Airways Vacations® (SAAV) has introduced a first-of-its-kind service among sellers of travel to Africa – new virtual itineraries on its website that will take all of the questions out of the process, allowing travelers to picture the vacation they are about to experience. Travelers or travel agents can visit http://www.flysaavacations.com, choose an itinerary, and click on the “virtual itinerary” button. What opens up is a full, day-by-day overview that starts with award-winning service on South African Airways and continues through a host of activities and luxurious accommodations throughout Southern and Eastern Africa. The virtual itinerary will include photos and “i-brochures” of the properties being visited, and even maps that show the journey from the U.S. to the African continent, and each portion of the itinerary along the way, eliminating the need for travelers to open new web pages to research the destination or accommodations. For travelers, it results in being able to get a feel for the vacation they’re purchasing, and being able to make an informed decision. For travel agents selling SAA Vacations® packages, it means having a world of information at their fingertips, enabling their clients to make the right choice for their vacation of a lifetime. To explore the virtual itineraries, visit http://www.flysaavacations.com, or call 855-FLY-SAAV, where agents can walk travelers or travel agents through the process. The technology is powered by Wetu, a South African-based technology provider. The technology pairs GPS capabilities with on-the-ground, on-site content about the numerous properties and lodges in Southern and Eastern Africa, resulting in SAA Vacations® being able to offer this groundbreaking service. A division of South African Airways (SAA), the national airline of South Africa and Africa’s most awarded airline, SAA Vacations® is highly regarded for its wide array of affordable luxury packages to Africa, and utilizes SAA’s extensive route network to create packages for travel throughout South Africa, Botswana, Victoria Falls, Namibia, Mozambique, Zambia, and Zimbabwe, as well as East Africa. The program is managed and fulfilled by Destination Southern Africa (DSA), which was founded in 2001 and offers an extensive portfolio of tour programs with a variety of hotels, game lodges and safari companies throughout Southern Africa. DSA was one of three tour operators in the U.S. that was officially appointed by MATCH to develop and sell travel packages for soccer fans visiting South Africa for the FIFA 2010 World Cup, making it a partner with extensive knowledge and know-how in planning the perfect African vacation.